One of the most common questions among beginning composters is "what can I put in my compost bin?" 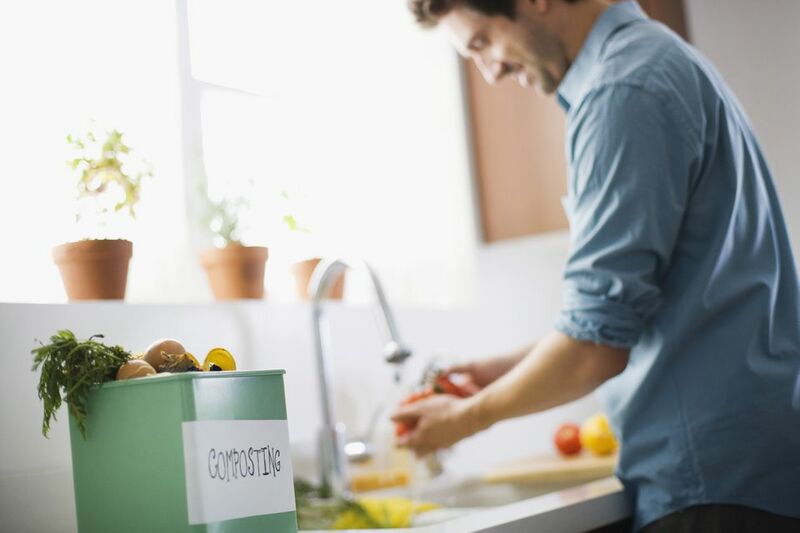 While it helps to know that there are two basic types of materials (greens and browns, i.e., nitrogen-rich and carbon-rich) to put into your bin, it might be even more helpful to have a detailed, go-to list of things you can compost. Not everything on this list will be for everyone. Some people, worried about pests in their compost, will decide to forgo composting grains such as rice, pasta, and bread. Others will decide that they would just rather recycle newspapers than compost them. That's fine. Consider this list a starting point; a place to get ideas for what you can safely compost. You'll notice several items missing from this list, such as meat, dairy, and fats. While you can technically compost all of these (especially if you have a Bokashi compost bin), we've left them off this list because extra care must be taken to compost these items safely. The items on this list are safe for you, and for your garden. In general, you want about 4 times as many browns as greens. If you're going for super-fast compost, you'll want to pay strict attention to proportions. If you just want to make some compost over time and avoid sending the organic matter to the landfills, then you don't need to worry about it too much. If your bin gets wet and smelly, add more browns and cut back on the greens for a while. Give it a turn. If your bin just sits there, not breaking down, add some greens, turn it, and it should start breaking down again. Compost happens, whether we do anything at all. It's just a question of how patient we are. What Are Your Bin Worms' Favorite Foods? Why Does Your Compost Pile Smell Bad? Which Items Are "Greens" and Which Are "Browns" for Composting?